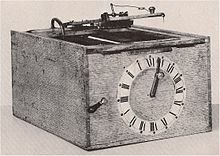 Today in 1829, William Austin Burt, a surveyor from Mount Vernon, Michigan, received a patent for the typographer, the earliest forerunner of the typewriter. Fifty years ago this month (July 31), IBM introduced the IBM Selectric, replacing typebars and the moving carriage with a spherical printing element. This entry was posted in IBM, Social Impact, This day in information. Bookmark the permalink.